We know how hard it can be trailing through hotel after hotel to make sure you find something that the whole family will like. 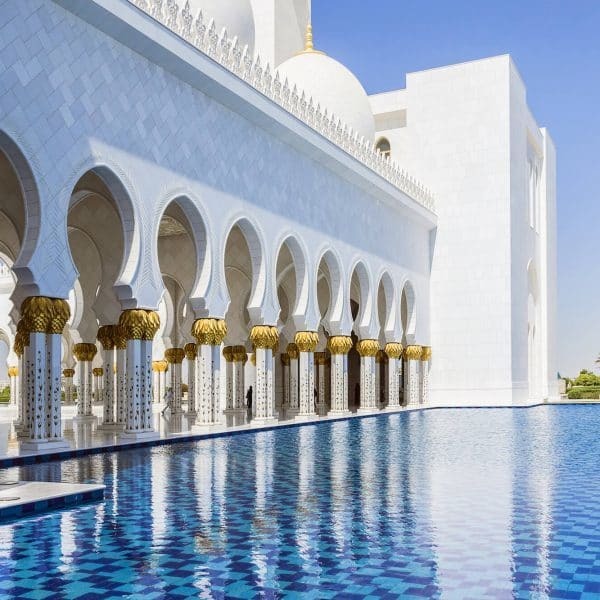 Well to help you find that perfect balance, we have found the best luxury family friendly hotels in the world suitable for every family member, no matter their age. 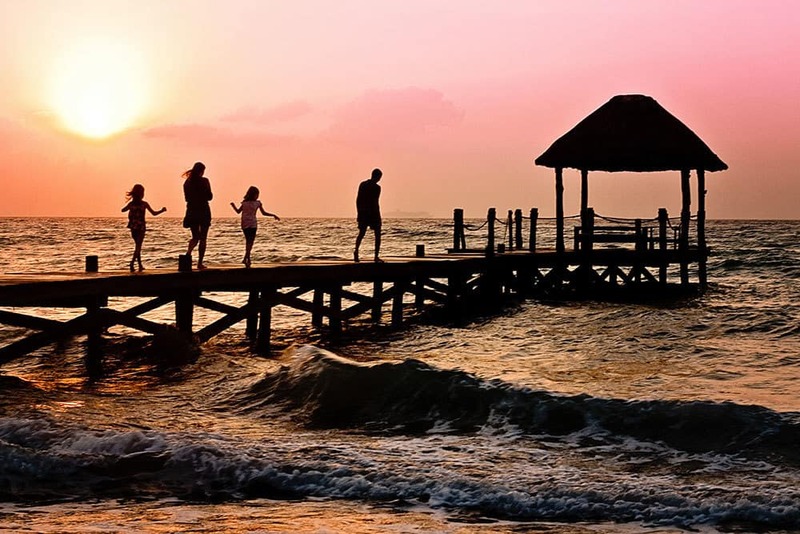 With an abundance of activities and adventure-packed days ahead, these resorts allow your children to have the time of their lives while Mum and Dad relax and spend quality time together or join in and fuel their young hearts. The Resort at Paws Up is a combination of incomparable luxury and unspoiled wilderness. This luxury ranch resort spans over 37,000 acres and is an authentic working cattle ranch in western Montana. You can choose to stay in an expansive private home or a safari-style luxury tent while you immerse yourself in the rural landscape and be one with nature. 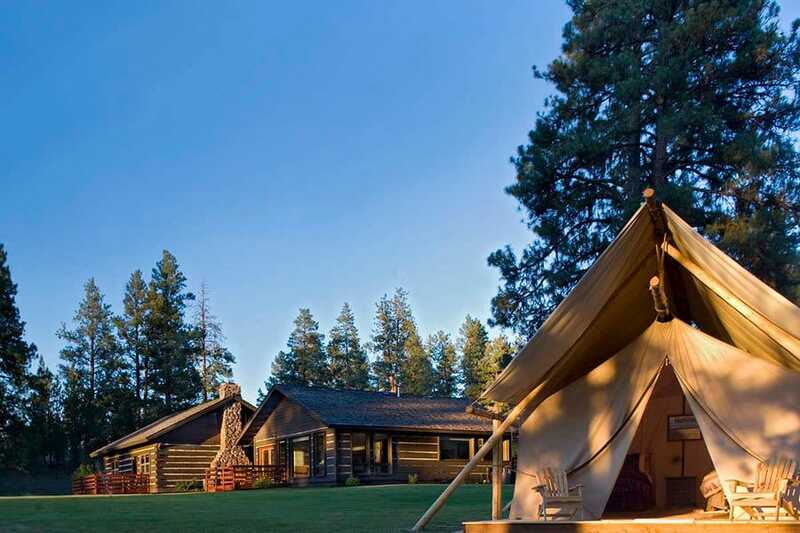 The Resort at Paws Up is a family-owned ranch that accommodates families of all sizes. With activities from Montana horseback riding, Montana fly-fishing, river rafting to paintball wars, a kid’s camp and chuck wagon rides, all these activities will help bring your family closer together. You will still enjoy all the luxuries and comforts that The Resort at Paws Up offer as you’ll sleep on the finest sheets, eat world-class cuisine and receive impeccable service. The Kinderhotel Oberjoch is the perfect choice of luxury family friendly hotels for those wanting to ski in the Alps. As one of the leading hotels for children in Germany, the Kinderhotel will nurture and care for all the family. This all-inclusive hotel in the Alps allows guests to enjoy the gourmet dining in five restaurants, use of the swimming and sauna complex with indoor and outdoor pools, as well as free ski passes in the Winter plus many more free excursions. The free ski passes will save your 100 Euros per day for the family, and with the ski area only 200 metres from the front door of the hotel, its perfect! There is also a toddler ski course for those taking their first rides on the snow. If the little ones aren’t too keen on skiing, there is still plenty to do. There is a huge indoor play area with bowling, go-karting, cinema, year-round ice-skating rink and a soft play area. 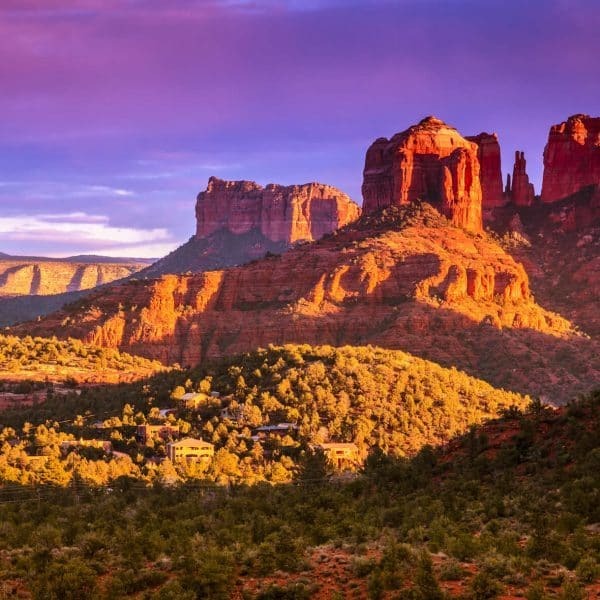 In the summer, you can spend time in the outdoor playground with a climbing forest, mini zoo with alpacas, rabbits, ducks and birds, as well as a fairground with campfire and Indian Tipi. Beaches Turks and Caicos is an exciting all-inclusive luxury hotel, perfect for all the family. Set on a 12-mile beach lapped by the crystal clear waters of the Caribbean. 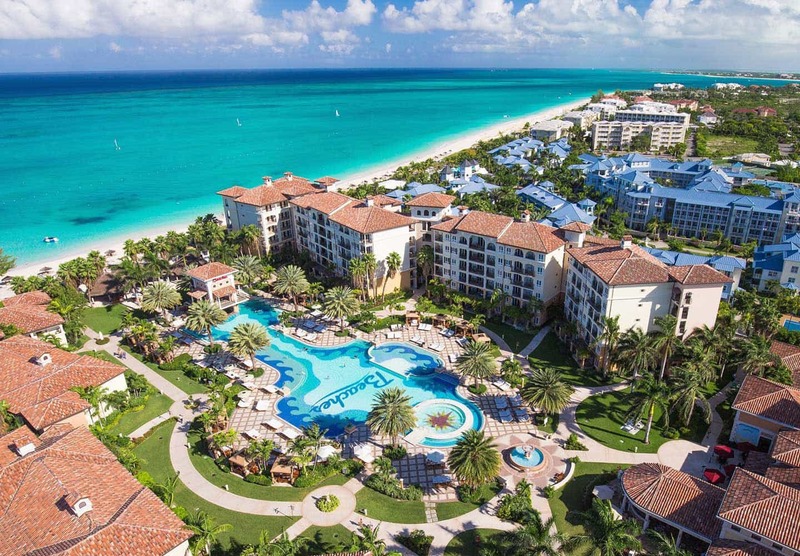 Beaches Turks and Caicos is part of the Sandals brand, guaranteeing that world-class service and ultimate luxury. 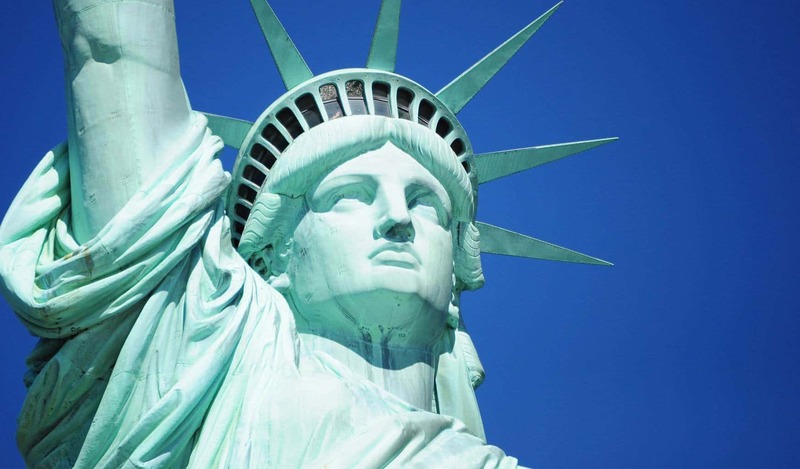 Stay in one of the four magnificent villages, each boasting an ambience of Italy, France, the Caribbean and Key West. This all-inclusive family hotel in the Caribbean features 19 speciality restaurants, 15 bars serving unlimited premium spirits, 6 swimming pools with 3 swim-up bars, endless land and water sports activities including SCUBA diving, as well as an Xbox play lounge, a Beaches Nightclub, Teens-only game room, Kids camp, large family suites and finally a huge pirates island waterpark! The Reserve at Paradisus Palma Real is a new all-inclusive boutique resort set alongside the idyllic Bavaro Beach in Punta Cana, Dominican Republic. The Reserve is surrounded by lush tropical gardens, with access to an exclusive private beach. This five-star all-inclusive hotel in Punta Cana enables guests to relish in the luxury of The Reserve with a YHI Spa, fine dining, 3 swimming pools, a fully equipped gym, an Eco Garden and golf course. There is also a shopping centre only five minutes away with complimentary transport as well as a Kids Zone with many workshops and activities. Kids can play in the games room with an Xbox 360, Wii, Playstation 3 as well as an adventure park including climbing wall, super jumper and bouncy castle. Spend the evening relaxing without the kids as the evening program includes tropical parties, movie nights, karaoke, mini discos and magic shows, so there is plenty to keep your kids occupied while you enjoy a romantic meal in one of the restaurants. The Cavallino Bianco Family and Spa Grand Hotel is the first and only luxury family friendly hotels exclusively for families with children. 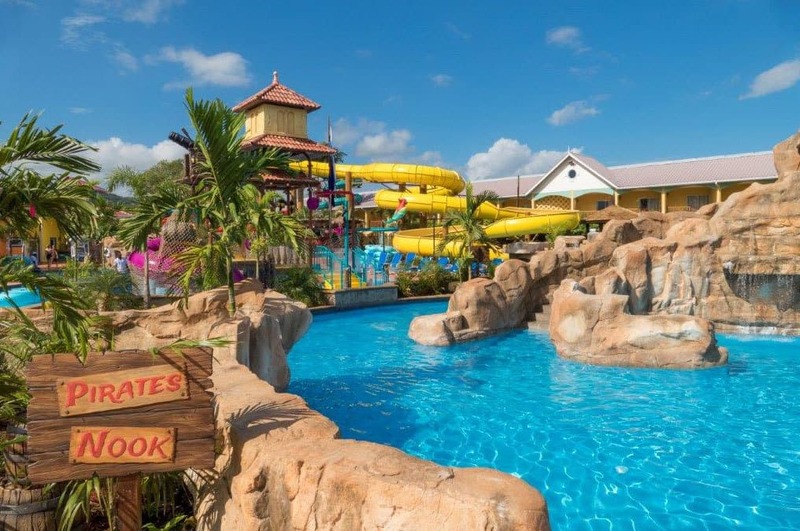 This all-inclusive luxury hotel will take care of your children for 13 hours a day in an indoor play area with a children’s restaurant, pirate island, puppet theatre, mini sports arena, soft play area, small zoo and much more. This five-star hotel in Italy is at the heart of the Dolomiti Superski area, with a connecting bridge from the hotel you can immediately access the ski lift system to take to the slopes of Alpe di Suisi. There is also a ski school for children from the hotel with hire of ski equipment. Enjoy wonderful luxurious suites, 4 restaurants with gourmet cuisine, relax in the Spa or take a dip in one of the 6 pools. 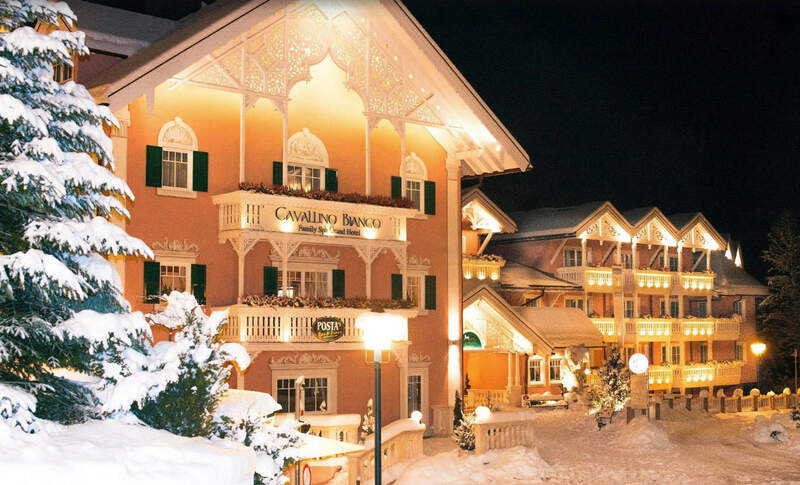 Staying at the Cavallino Bianco Grand Hotel in Italy, allows you to seek out the beautiful views of the Dolomites and Val Gardena. The Jewel Runaway Bay Beach Resort is the perfect backdrop to a family holiday, with white sand and sparkling turquoise waters to the lush tropical surroundings, this all-inclusive hotel in Jamaica is a haven for children. Indulge in one of the seven restaurants, or sip cocktails at one of the four bars and lounges for some adult time. The children will have plenty of fun in one of the three pools, or make a splash at the Jewel Lagoon Water Park. With unlimited land and non-motorised water sports, it will keep the whole family entertained and active for hours. There is also an 18-hole professional golf course for those keen golfers. Nestled in a pristine mountain lake in Poconos, the Woodloch Pines Resort is regarded as one of America’s ‘Best Inclusive Family Resorts’. The Woodloch has a traditional American summer camp feel about it. There is so much to do at this all-inclusive Pocono resort, from a six-sided rock climbing wall, indoor and outdoor pools, bumper cars, go-karting, kayaking to Broadway-style Theme Shows and mini bowling. 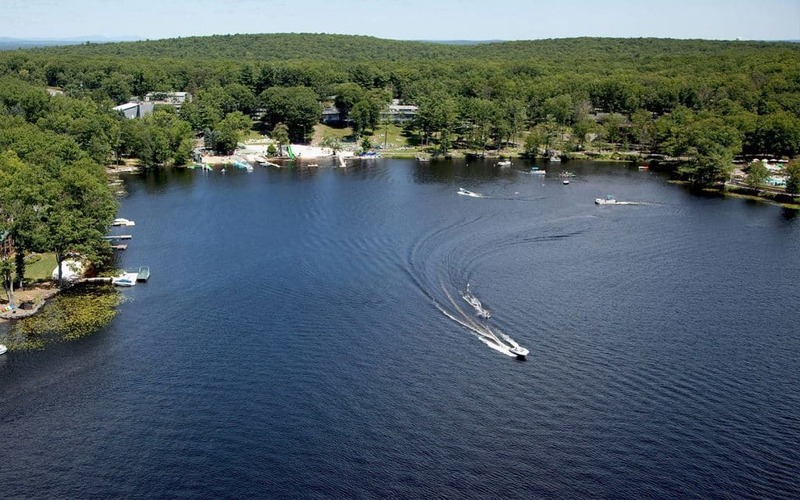 Visit the championship 18-hole Poconos golf course, dine a la carte, relax in the spa or take to the lake to enjoy some water sports. Whether you visit in summer or winter, at the Woodloch Pines the whole family will have fun and it will bring you closer together as you enjoy family time in the Poconos Mountains. With miles of golden sand beaches and sparkling azure waters lapping the shore, Sani Beach promises a five-star experience at this, one of luxury family friendly hotels. This lavish hotel in Halkidiki, set in the breath-taking Cape Sani, enjoys views of lush foliage and Mediterranean scenery. 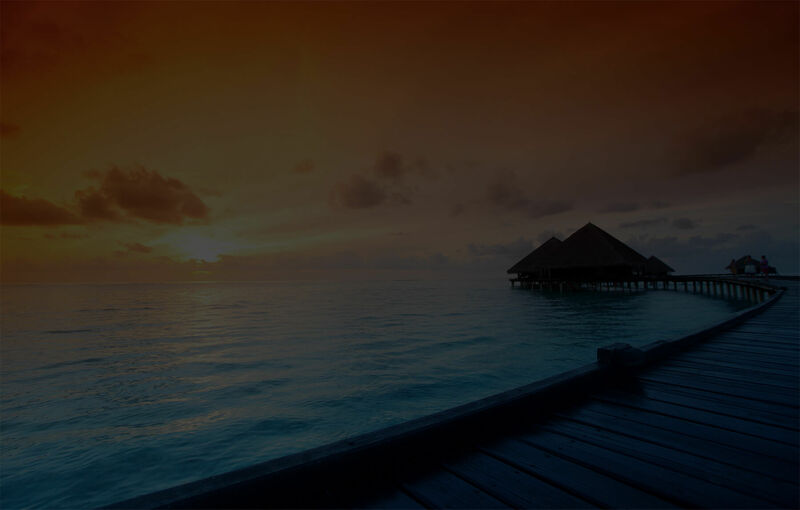 Choose to relax on the immaculate beach or take a swim in the large lagoon-style swimming pool. The spacious restaurants and bars are serviced to the highest level, with freshly produced dishes using the best local produce you can enjoy international or Greek cuisine. The Sani Beach Resort enjoys all the comforts and luxuries needed for the perfect family holiday in Greece. With the little ones being looked after by UK childcare specialists Worldwide Kids, mum and dad can enjoy some quality time on their own. Kids from 4 months up to 17 years old can have fun in the Kids clubs available at Sani Beach. Children can enjoy group games, workshops, mini discos parties, Olympic games, treasure hunts as well as archery, beach volleyball, the Teen House, Sani Football Academy and Sani Marina Sailing Academy. The Santa Clara Eco Resort is the perfect place for all ages. The farm is located in the centre of Sao Paulo. 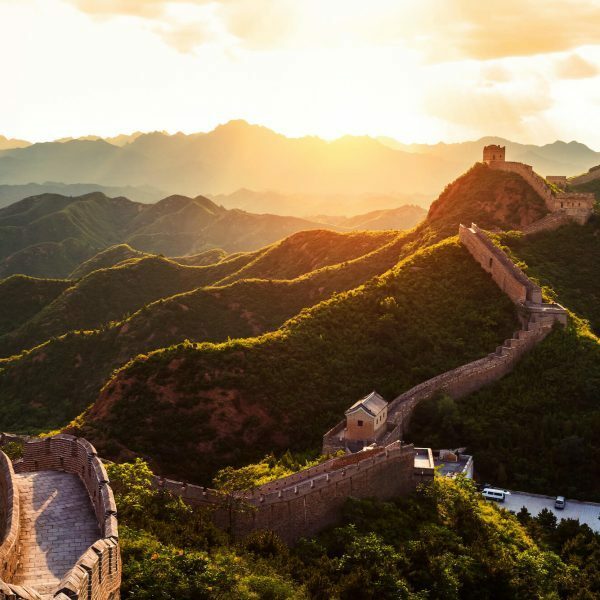 It features large areas of pristine forest, waterfalls, streams, hills and valleys so you really feel immersed in the nature on every angle. There is enough at the Santa Clara Eco Resort to keep everyone happy and active, with 5 swimming pools, a zipline lake, tennis courts, mini golf, sauna, football pitch, a pub and more. 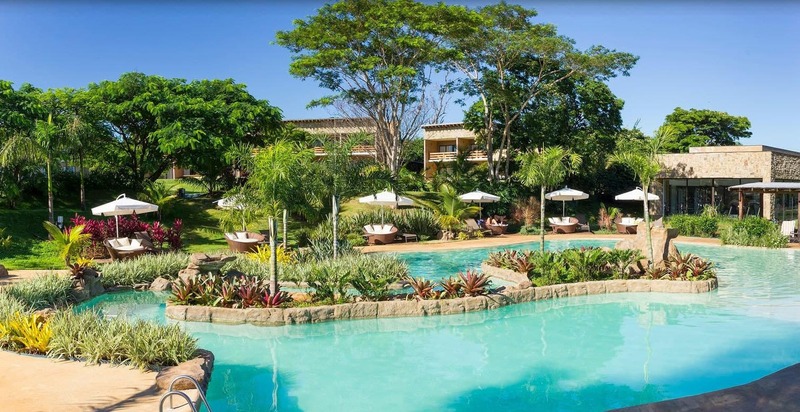 This family hotel in Brazil also has the SPA by L’Occitane so you can relax and enjoy a five-star treatment with the products from the French brand. Santa Clara has so many activities for children they will never got bored, from a mini farm, playground, teen space, cart rides, abseiling in waterfall, archery, climbing wall, kayak, horseback riding to boating and rafting in Brotas. For those who prefer quieter activities, opt for yoga, hiking or water aerobics. Nestled between the Sierra Madre and the ocean, this all-inclusive resort in Mexico is perfect for a family getaway. 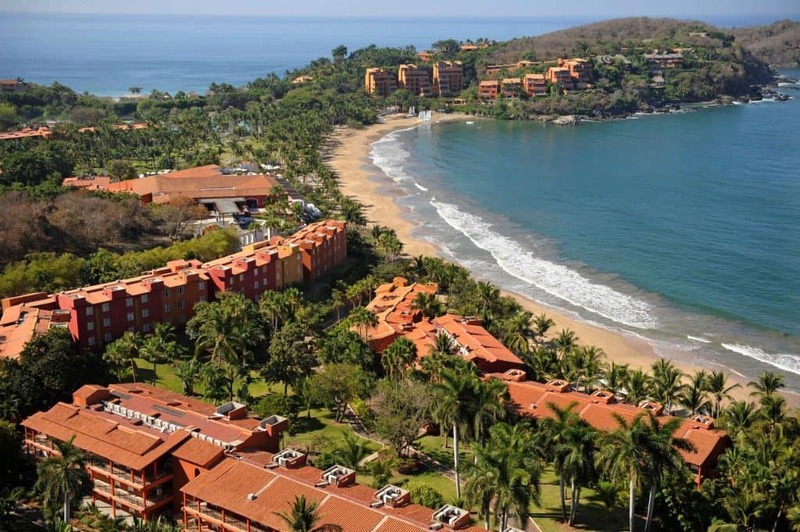 Club Med’s Ixtapa Pacific boasts hacienda-style buildings whilst overlooking the glistening Pacific Ocean. Dine in one of the three restaurants and let the kids enjoy dinner in their own restaurant, star gaze with a cocktail in one of the three bars or indulge in a spa treatment. With four age-specific kids’ clubs, there is plenty of activities to do for all ages. At Baby Club Med, little ones will learn motor skills and early learning activities. For toddlers at Petit Club Med they will enjoy outdoor games, dressing up, puppets, water games and more. For kids at Mini Club Med, they will have an adventure-packed holiday with Zumba Kids, Petit Tennis and Golf, cookery lessons, dance, group games and activities. For the Teens in Junior Club Med they will enjoy activities such as flying trapeze, archery, beach volleyball, sailing, kayaking and more. For teenagers, there is also a Club Med Spa an experience to enjoy on their own, with Mum or with friends.